You may link your Steam account to the e-mail address in order to be able to log into our forums and make purchases in our web store. 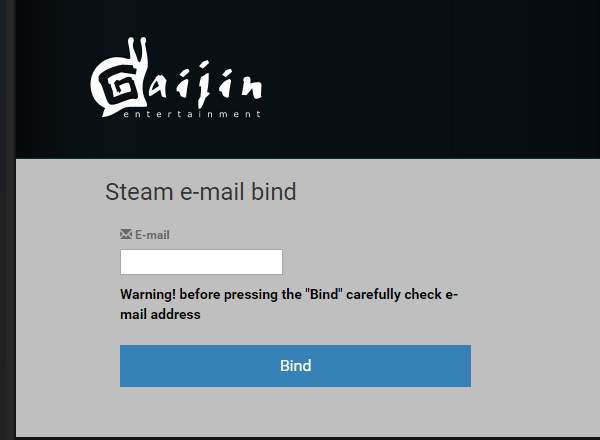 NOTE: email addresses which were already used for Gaijin accounts cannot be linked to Steam accounts. The Steam browser will appear and load the accounts binding page. Enter your correct email, then press "Bind". 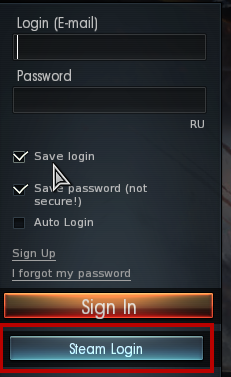 When everything is done, you will receive the confirmation email with a password you will need to log into the game. You are free to change the password using this article.